A Senior Advocate of Nigeria (SAN), Mr. Olisa Agbakoba, has stated that with the no-clear economic policy of the present government, Nigeria is no more in recession, but in depression. 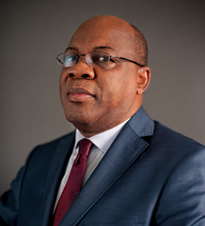 Agbakoba, who although hailed President Muhammadu Buhari’s effort at curbing corruption in the country and degrading the strength of Boko Haram terrorists to carry out attacks on the people, scored the president below average because his government seems not to have clear-cut economic solutions to the present hardship in the country. At a press conference held yesterday in Lagos, the senior advocate explained that: “We are no more in recession, we are now in depression because five consecutive quarterly growth which Q1 2016 shows a negative balance is a depression. Technically speaking, you calculate growth rate by GDP over population, goods and service produced over population. Do you know the current growth rate for the Q1? According to the National Bureau of Statistics, it is 0.34. The last growth rate was two., so we lost two. According to him, there is no doubt that Nigeria was in a state of chaos and disorder before 2015 elections, loaded with massive insecurity, weak political structure empty treasury and corruption, but after 365 days, how has the president handled these issues? He urged Buhari to look back in history and borrow a leaf from President Roosevelt of the United States whom he said ably dealt with the shock of the great depression that ravaged the country in the 1930s. Agbakoba said: “And in appraising the one year of President Buhari government, we must also acknowledge the crises of the old order. So all I am saying is the crises of the old order and the hope of change, and now what has happened? “The crises of the old order meant that things were very difficult, there was high rate of corruption, insecurity occasioned by Boko Haram among others, so how has President Buhari handled all these? He further noted: “We know that many people have stolen money, but what we want to see is an aggressive action plan. The Economic and Financial Crimes Commission (EFCC) and other law enforcement agencies clearly don’t have the resources, capacity and skill, so the resources we could have gathered (at least 3 to 4 trillion naira from the anti-graft war) are not coming in. The senior advocate said what Nigeria is really missing is what the Europeans realised 600 years ago that without peace and stability, no country can’t make progress, adding that: “For those of us who are married; if you and your wife are always fighting, you can’t have peace, so Nigeria is in a low grade civil war because they are few places you can go without thinking about your safety, this is the low grade civil war situation we are in the country which we don’t easily realise because we are participants.